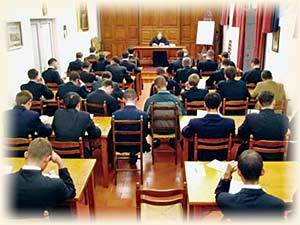 The personal faith of our seminarians has to be measured by the objective holiness of the liturgical mysteries and by the unchangeable truth of the Catholic Faith. Subjective piety and objective grace have to form a unity linked by the celebration of the Traditional Latin Liturgy. 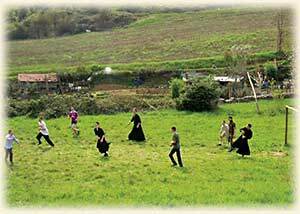 Neither exterior formalism nor pietism can survive when a seminarian, under the guidance of the authority of the Church which is represented by his superiors, strives in his liturgical participation and his interior life to "do what the Church does." 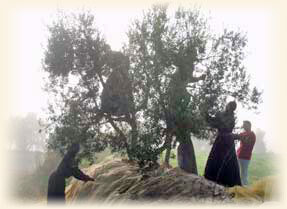 This authentic Roman Catholic harmony between the subjective and the objective, between nature and grace, between the human and the Divine is a fruit of obedience towards the tradition that the Lord Himself has given and guarantees to Holy Mother Church. As our founder, Monsignor Gilles Wach, STD, frequently quotes, "We do not save the Church, the Church saves us." She does so because She follows the directions of our Lord Himself who has died for our redemption on the Cross and who has founded the Church as the instrument to prolong His salvation through the centuries. 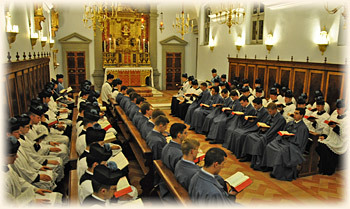 In its seminary, the Institute of Christ the King wishes to form faithful "administrators of the Holy Mysteries" who do nothing else than what Christ wants them to do for souls: bring them to Him through the sacraments of the Church.